During the Early Cretaceous, a small two-legged dinosaur walked across a stretch of fine-grained mud following a rainstorm. 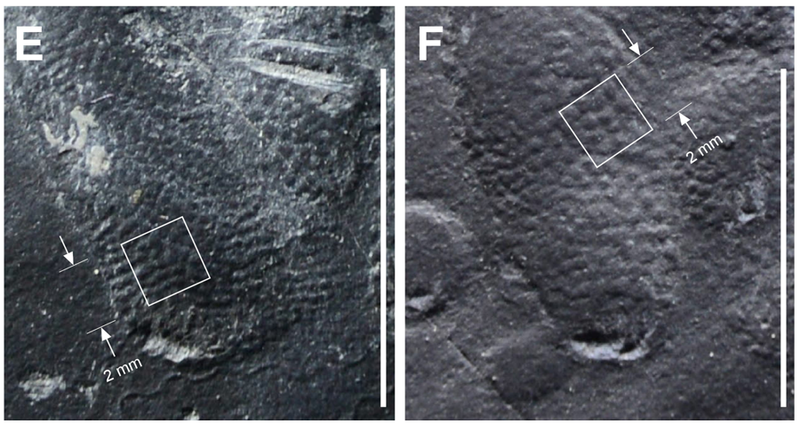 The resulting footprints became locked in stone, but unlike other fossilised dinosaur tracks, these 120-million-year-old fossils show skin impressions across the entire footprint, in what is considered an unprecedented discovery. Fossilised dinosaur footprints are fairly common in the pale ontological record, but a mere 1 per cent of these tracks exhibit evidence of skin. Of these, none have been found to preserve evidence of skin across the entire footprint—until now. Special environmental conditions allowed for the footprint to appear without smearing. The little dino walked across a thin layer of fine mud that was similar to “a coat of fresh paint only a millimetre thick,” Martin Lockley, a palaeontologist from the University of Colorado Denver in the US and a co-author of the new paper, said in a statement. This proved to be a perfect medium for recording the animal’s skin texture. 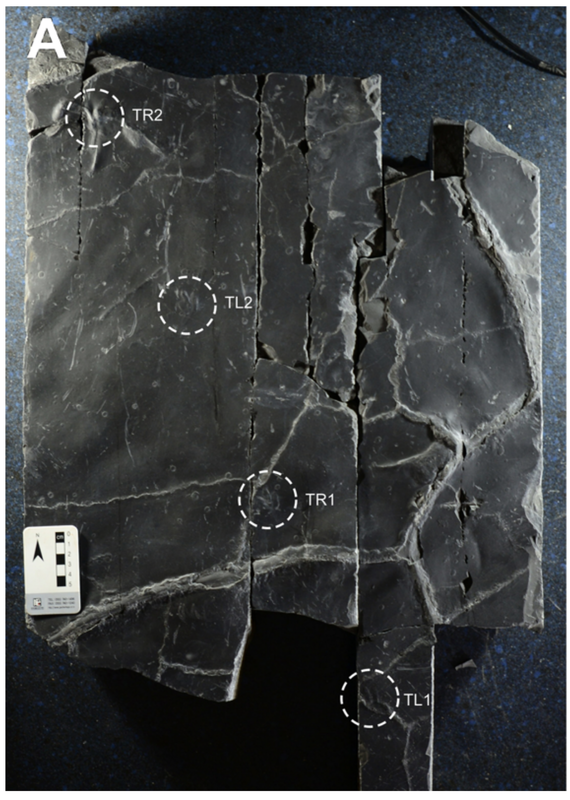 What’s more, the sticky surface prevented the dinosaur from slipping or sliding on the surface, which would have ruined the integrity of the print. Indeed, the level of detail in these impressions is nothing short of extraordinary, and it’s hard to believe they were made so long ago. Arrays of small scales, each less than half a millimetre wide, cover the entire surface of the dinosaur’s tiny feet. The tiny scale traces, described as polygons in the new paper, together look like woven fabric. The researchers said the pattern is similar to those seen on some feathered Cretaceous birds from China, but the shape of their feet is very different. Also, the patterns are similar to, though considerably smaller than, those seen in the partial footprints left behind by larger dinosaurs, such as the brontosaurus. The “size of polygons in skin ornamental is proportional to track size,” wrote the authors in the paper. Based on the stride length and size of the footprints, the authors estimate a body length for this particular individual at 28.4 centimetres (11.2 inches). The dinosaur made long strides as it swiftly moved across the muddy surface at speeds reaching 2.5 metres per second (5.5 miles per hour). Human walking speed is about 1.4 metres per second, or about 3.1 miles per hour. Palaeontologist Eugenia Gold from Suffolk University, in the state of Massachusetts, said the information gathered from these impressions make our interpretations of dinosaur skin more complete.